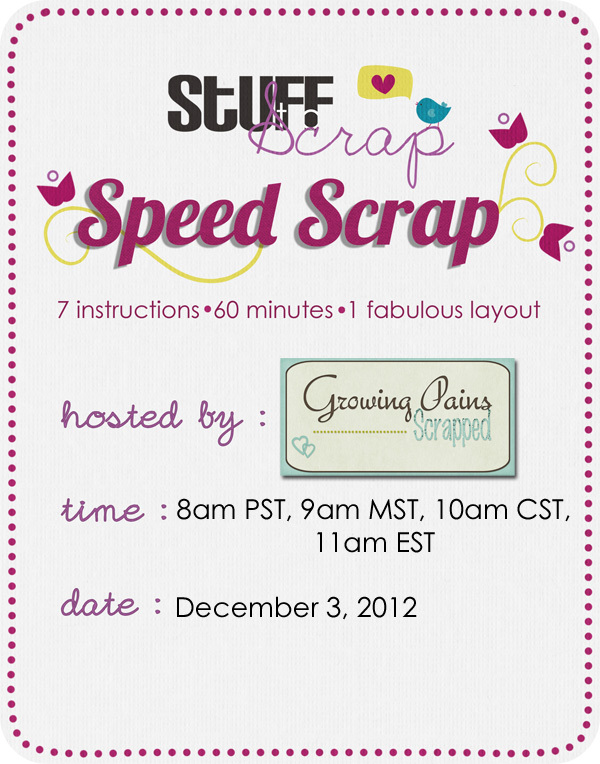 Growing Pains Scrapped is a hosting a speed scrap tomorrow morning. Come on over to STS and join the fun! The prize for finishing and posting on time is a set of quick pages that coordinate with the STS store "free with $4.99 purchase" kit, Holiday Hoopla.